Because Chrome OS is now running on computers that fit the traditional model (keyboard + screen) and those that are more hybrid-like (with touchscreens! ), it makes sense that the operating system evolves. One area that appears to be a current focus is Chrome OS’ launcher. 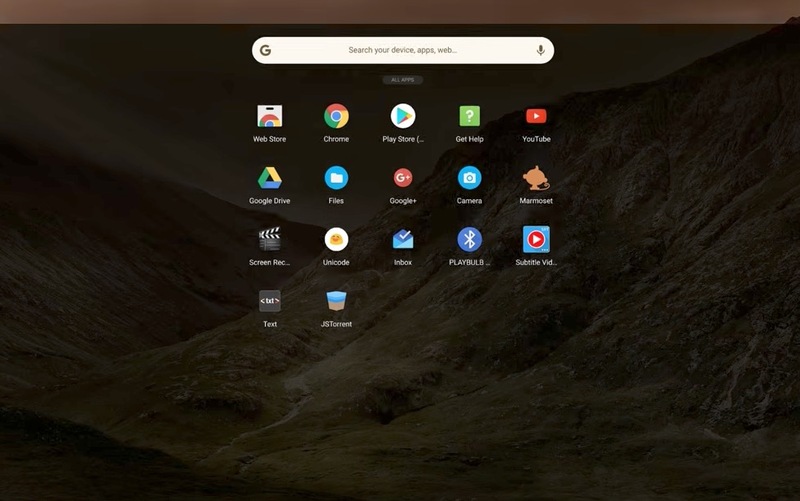 Through the Canary channel (the earliest of early builds where Google tests new goodies), the Chrome OS team has released a new touch-friendly approach that is part Pixel Launcher and also a nice use of desktop space. You can see the new launcher in action in the video below that was shared by Francois Beaufort, who I believe is still a Chrome and Chromium evangelist. In the short clip, Beaufort shows that a touch on the launcher button (or the search button) reveals a new launcher with a Google search bar front and center, along with a couple of suggested apps. From there, a swipe-up reveals all of the apps available on your Chrome OS device. The real magic might be in the Google bar that is readily available for searching by voice or keyboard once the launcher has been activated. You can type out queries and get direct responses, which include both Google search results and apps, or you can search by voice. Selecting an option then opens a Chrome tab, as you would expect. Anyone running Canary on their Chrome OS device want to give it a shot? If so, head into chrome://flags/#enable-fullscreen-app-list and restart Chrome. Should this pass through to beta and then stable, it might change dramatically. What I’m saying is don’t get too excited just yet. Ahh the hell with it, this is cool – get excited.